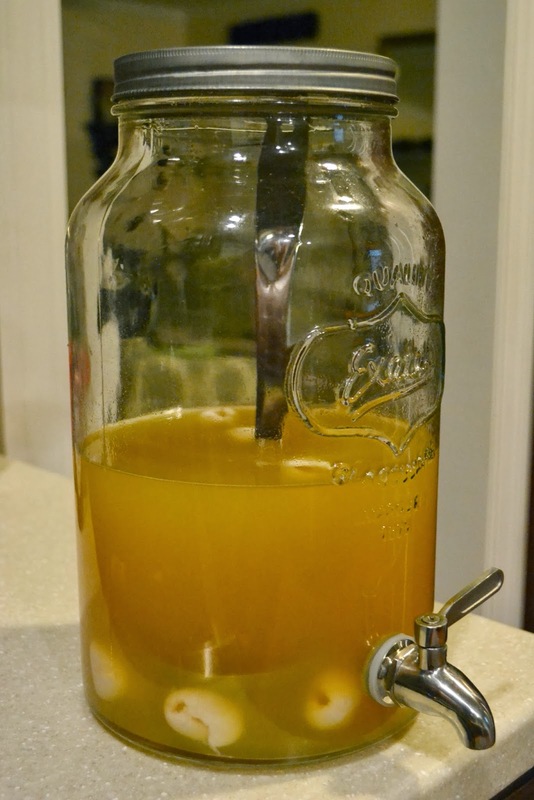 We had friends over on Saturday night for a Halloween get-together, and I couldn't stay away from the drink dispenser. Mix all ingredients together in a large punch bowl or drink dispenser. Stir together and serve! Lychees are an uncommon fruit and I love them! Our grocery store sells them by the can in the same area as all of the canned fruit -- pears, pineapples, peaches. In my store, they are located on the top shelf along with all of the other somewhat odd finds. A can will run you about $3.50-$4.00, so it's not the least expensive ever, but so worth it. 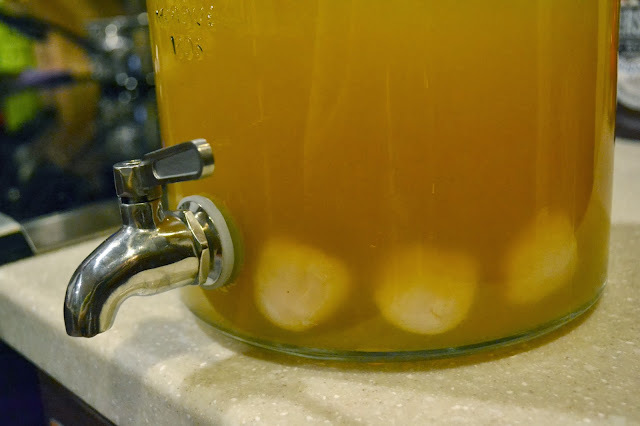 I just love adding lychees into Halloween punch because they look like eyeballs floating at the bottom of the drink dispenser! 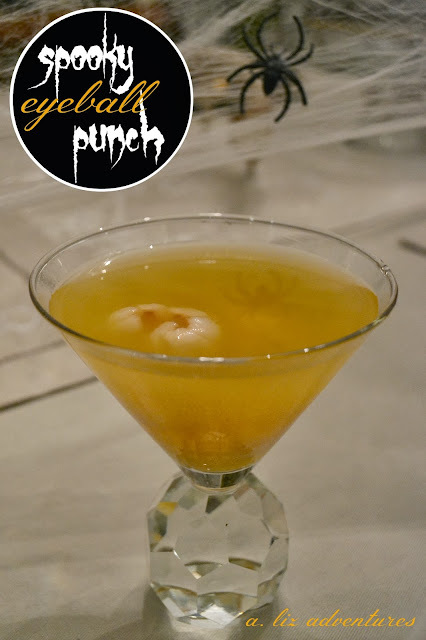 The punch was such a hit -- and I loved that the ginger ale made it fizzy. Next up, I want to try a version using the guava nectar that I also saw available at the store. I pinned this to have on hand for our Halloween party next year. Looks great. I would love to hear more about your Halloween party. I love getting ideas! I love me a good lychee tooni..although I don't think I realized they look like eyeballs. That's somewhat disturbing. This looks like the perfect drink for Halloween. I have to admit, I was a little unsure at first when I read lychees - I had no idea what that was. I've never heard of that type of fruit, but now that I know it is a fruit, I might have to make this :) And I love that last picture with the spider reflecting on the surface - it makes it even spookier! I love lychees and did not know they were easy to find! This drink sounds so good! I'll have to try it! Awesome idea! I think I'll use this for Halloween! Thanks! This sounds great. I just love lychees. 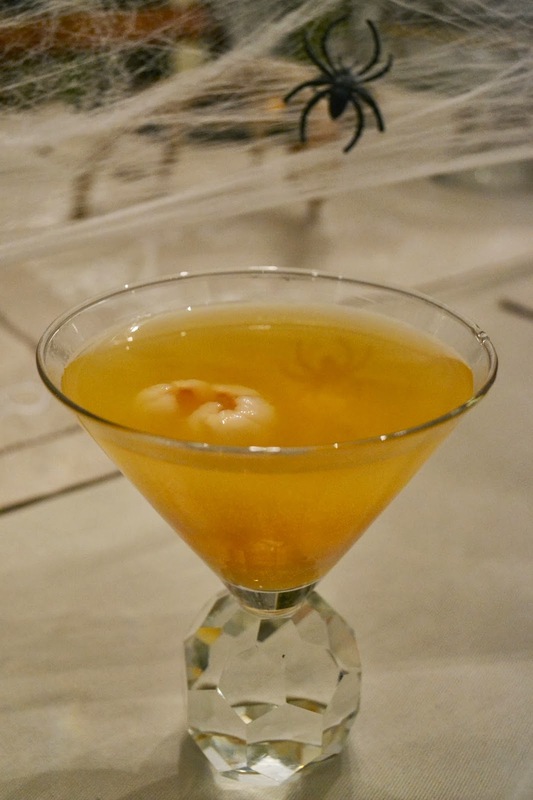 I've been totally obsessed with lychee martinis for a while now so I know I would love this! Yummy! this look so good! I may have to whip this up for our Halloween party on Thursday! 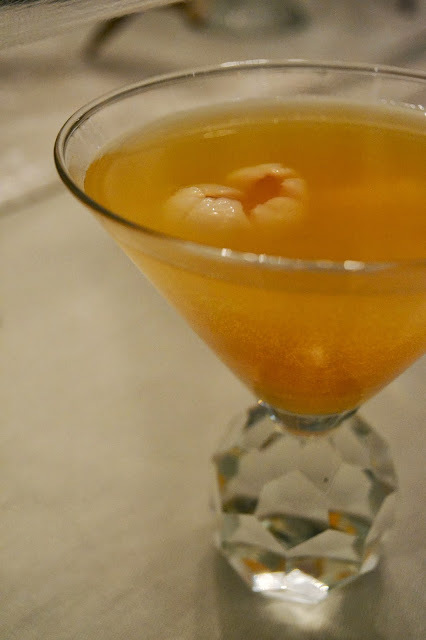 I love Lychees and have been obsessed with a lychee martini in town for awhile. I will be bookmarking this recipe for a special occasion and trying it with the guava juice. This is an awesome idea for a Halloween party drink!! !I need to remember this for next year. We discovered lychees in Australia and fell in love with them! I need to look for them here! Halloween ... Bring It On! Five On Friday: Blogger Meet-Up Edition! Five On Friday ::: Featuring a New Makeup Fave.